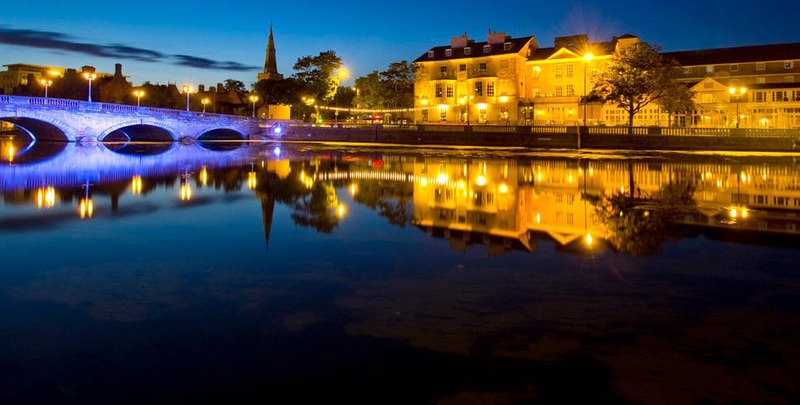 Bedford is one town that is well known for its paranormal activity. It seems that the Bedford ghosts show up in even the most unlikely of places, including the local cinema complex! Check out our list of the 7 most haunted places in Bedford that you might want to make the time to visit! While many people visit the cinema in order to watch horror movies, few would expect to see an actual ghost there! However, Cineworld in Bedford is actually built on the site of Newnham Priory and now plays host to the ghost of a monk! The hooded figure is frequently seen in Screen 4 and the toilet area and there are often cold spots and strange noises documented in those same areas. Some of the most common occurrences that are noted within the cinema include the doors to screen 4 being violently flung open, seemingly of their own accord and seat number 8 in row A refusing to remain upright unless it is watched! Cinema-goers have also complained of scratching noises above their heads during movies, the sound of rattling chains and of unseen hands touching their legs. The temperature in screen 4 will never rise above five degrees even at the height of the summer months! 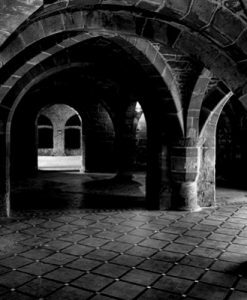 It is unclear whether all of this activity is linked to the monk that has been seen or if there are some other spirits at play here. One cinema employee has gone on record to explain that her own nephew actually committed suicide by hanging himself in a tree in the old priory grounds. The location of the tree would be where screen 4 now sits. Some older locals also recall when the Newnham swimming pool stood on the site now occupied by Cineworld. At that time, the locker doors were known to open on their own and then slam violently shut! Bedford’s Cecil Higgins Art Gallery is said to be the site of some poltergeist activity! 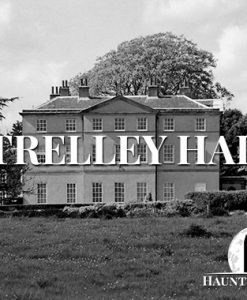 In fact, it is said to be the town’s most haunted venue! The paranormal activity seemed to start in 1998 when staff came into the building one morning and found a picture that once hung on the wall of the shop lying on the ground face up with the glass completely smashed. Nobody really thought it was strange at first, until they found that the nail on which it had been hung had actually been removed from the wall and hammered into the skirting board! Later that same year, a man dressed in a dark suit and bowler hat was spotted at the foot of the stairs. Over the years he was spotted more and more frequently, often vanishing before the staff members’ very eyes! Other poltergeist activity has occurred now and then including chairs moving around on their own and staff have also hear someone walking on the stairs when there was nobody there! Churches are one of the places where you might expect to see a ghostly presence, especially older ones However, you might expect to see a monk or a nun – not the apparition that is frequently reported at the Priory Methodist Church in Bedford! Several witnesses have been terrified by the sudden appearance of a man dressed in twenties style tweed creeping along the back of the church! As he creeps along he is said to leave a wispy trail of smoke in his wake! He has occasionally been spotted inside the church as well – especially on Christmas Day! On these occasions he has disappeared through the back wall of the church, again leaving a trail of smoke behind him! He is described as a tall, thin man dressed in black trousers and a tweed overcoat. In 1224, King Henry III captured Bedford Castle after a long and drawn out seige. Upon taking control of the castle, a total of eighty of its defenders were hanged on the castle mound. Locals claim that if you go and stand upon the mound at night and listen closely, you will still be able to hear the creaking of the castle gallows. Houghton House is a derelict Grade 1 listed building which is open to the general public, so there is no problem with heading over there to investigate the ghostly goings on for yourself! The majority of the sightings here seem to involve shadowy figures watching over those who visit. They prefer to simply observe, but when they are spotted thy will either dart out of sight or simply vanish into thin air. Other reports have described hearing a horse drawn coach pulling up outside and there have also been sightings of a little girl standing in the doorway waving to people as they pass by! 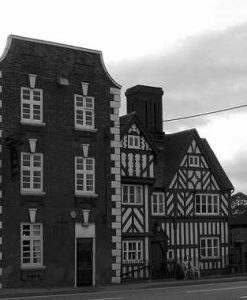 One of the spirits that is also said to haunt the building could be the Dowager Countess of Pembroke, Ms Mary Herbert who built the house in the 1620s. 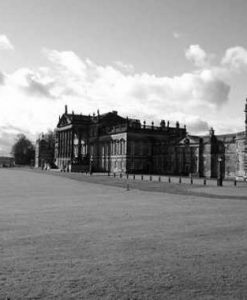 She was a close personal friend of King James I, who granted her the land on which to build Houghton House. Unfortunately, she died of small pox shortly after the property was completed. As mentioned above, Ampthill Park is very close to Houghton House and it is also one of the most haunted places in Bedford. While Houghton House can be linked to King James I, Ampthill Park his links with another royal – King Henry VIII. The park was once the site of Ampthill Castle which was Henry VIII’s residence and also where Katherine of Aragon resided during the annullment of her marriage to the king. Although the castle is now long gone, the former site is marked with a memorial Katherine’s Cross! Given the history, you might assume that the ghost that haunts the park would be Katherine of Aragon herself, but that is not the case – although the hauntings do seem to emanate from her cross! It is said the an apparition of a ghostly knight on horseback comes from the cross and gallops across the park to a nearby stream where he simply vanishes before the eyes of startled witnesses! This seems to happen with some degree of regularity! 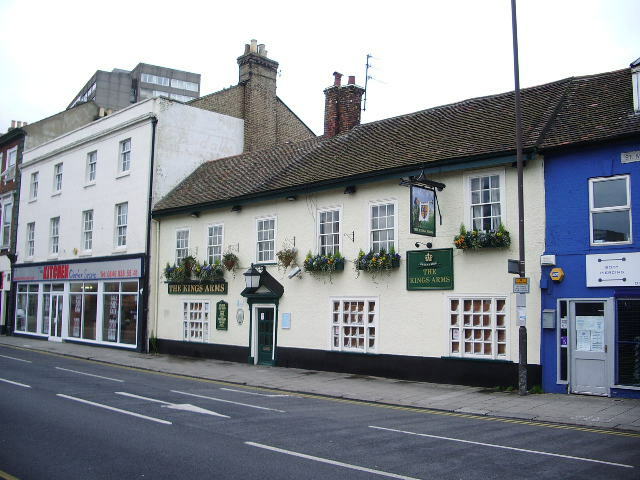 The King’s Arms pub is considered to be one of the most haunted places in Bedford. There are various different local legends surrounding the building, but perhaps one of the creepiest is that it was built on the site of a morgue! When you couple this with the fact that there is a coffin shaped trapdoor above the bar – which was apparently where the bodies were lowered into the morgue from the mortuary above – it is no wonder there are some ghost stories to tell! There are at least two different spirits which have made their presence known at The King’s Arms. The first is said to be an old man who is seen wearing a short sleeved white shirt. He was first spotted back in 1994 when a brewery employee saw him in the cellar and was scared out of his wits! Other members of staff have said that they often feel the sensation of somebody watching them whenever they are working alone in the cellar. It is this ghost who is held responsible for throwing buckets around in the cellar and for stripping down the beer taps after they have been cleaned and left to dry at the end of the night. The other spirit that is known to reside in The King’s Arms is a young man who seems to be mainly confined to the upper floor of the pub. He is often heard walking around upstairs causing the floorboards to creak and prompting the pub’s dog to start barking! One a couple of occasions, some old fashioned, hand made nails have been thrown at customers in the bar and on one night, a lady was staying overnight with two small children. The following morning, she awoke to find 2 small handmade rings left by the children’s’ beds and an adult sized one by her on bed! Were these gifts from one of the Bedford ghosts that call The King’s Arms home?